Murrumbidgee Primary Health Network (MPHN) is reviewing how it commissions mental health services to ensure delivery within a stepped care framework and to meet the needs of local communities. MPHN CEO Melissa Neal said this review process will not disrupt existing mental health services. “From the outset, I want to assure people that all current MPHN commissioned services will continue to operate as normal during this review process,” Ms Neal said. The evidence-based stepped care framework is part of the Australian Government’s response to the National Mental Health Commission’s review of mental health services and programs. “Stepped care is a framework for delivering mental health services based on connecting the person requiring support to the service that best meets their immediate needs and as these needs change so too does the level of support,” Ms Neal said. “While there are multiple levels within a stepped care framework, they do not operate in silos or as one directional steps. So while a person may initially only require the support of a mental health coach, if at some point their needs change and they require more intensive support they can be seamlessly linked to a mental health clinician. “Our aim of this review is to ensure MPHN’s commissioned services are aligned to this stepped care approach, which matches the individual’s needs to the right level of care at the right time,” she said. 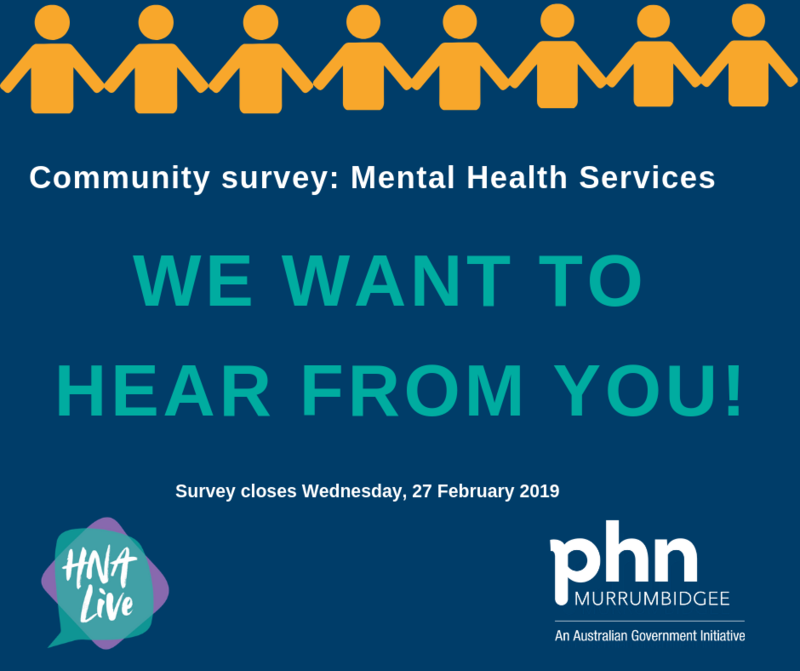 As part of this review process, MPHN is calling on community members to provide general feedback on mental health services. The short online survey can be accessed here. People can also register their interest to be involved in a workshop scheduled for Friday, 8 March 2019 between 10am and 2pm in Wagga Wagga. Registration for the workshop can be accessed here. If you want to provide additional feedback about your local mental health services experiences, please email mentalhealth@mphn.org.au Or click here to learn more about the stepped care framework.